Getting geared up for Black Friday? I used to be one of those early store goers , but anymore I am an online shopper. That is what I do thorough out the year , so why would Black Friday be any different. I love shopping online for Black Friday. It means I can sleep in a little longer, wear my pj’s and I save gas since my bargains are shopped straight to me. I can also hit multiple stores at the same time, instead of having to drive to a new one. Score! 500,000 coupons at over 60,000 stores. Gift Idea pages to make your holiday shopping easier. Deal Alerts so you can stay on top of savings all season long. Receive the Best of RetailMeNot newsletters with only the best deals across RetailMeNot every week. Save More. Earn More. You could get $10 just for using RetailMeNot to save. Check out The Real Deal by RetailMeNot for gift guides, holiday shopping advice, savings tips and best sales of the week. Also, Once you’ve downloaded the RetailMeNot app head over and check out the Snow Me The Money sweepstakes. 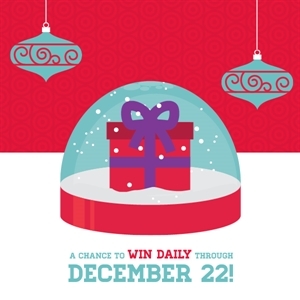 You get to shake the snow globe for a chance to win a $25 eGift Card OR a $10,000 grand prize! I could use $10,000, I’ll bet you could too! “Disclosure: This post is sponsored by RetailMeNot but all opinions are my own”.